Even if you don’t have a doctorate in history or read the invaluable lessons of Martin Armstrong, which are predicated upon understanding cycles, following the money, and observing the predictable passions of man; you should be able to assess what lies ahead, if you simply step back and connect the dots. Capital always concentrates with individuals, market sectors, and nations. In 1981 the bubble was in interest rates. 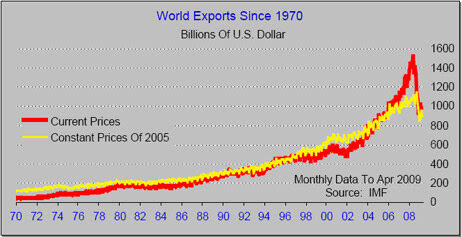 In 1985 it was the dollar, and in 1989 the bubble was in Japan, followed by SE Asia in 1994 and Russia in 1998. The next bubble was in the tech sector in 2000, followed by real estate in 2007, and the latest and biggest bubble that is in the process of popping is govt bonds. Going back further in time, the Great Depression was caused by capital fleeing Europe due to WWI, which created the roaring 20’s, and culminated in the stock market doubling in the last year before crashing in 1929. The 29′ crash was exacerbated by the fact that east coast banks and insurance companies had shipped large amounts of capital to San Francisco to rebuild after the 1906 earthquake. 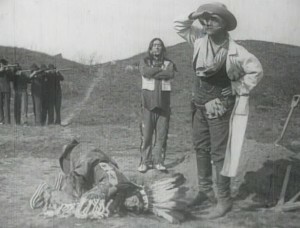 Thus, it was not around to thwart the bank runs. Everything is connected, if you just follow the money. To explain what is interconnected today, and how it will impact our future is not a simple task, but Rome was not built-in a day. So, grab a bottle of wine and not a gun, as we look behind the curtain and peer into the future. The heart of a healthy economy and prosperity are confidence, trust, and maximum freedom. If consumers and businesses feel confident, they spend and invest. However, if ideas and capital can’t flow freely, businesses and value are not efficiently created. The most feeble economies in the world are those with rampant govt corruption and little confidence, which can’t attract the capital needed for growth. When you have an anemic economy run by career politicians, the result is less freedom and ever-increasing taxes, fees, and asset forfeitures to maintain govt jobs, perks, and power. Step back and put your ear to ground like the Indians used to do and ask yourself, is govt coming or going? 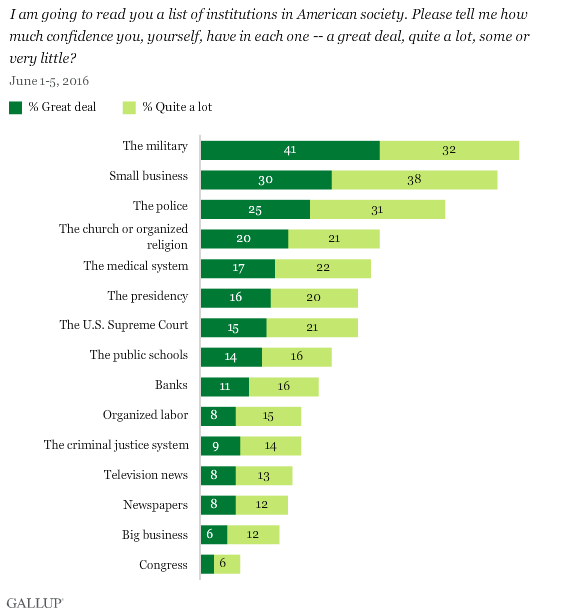 Is trust, confidence and freedom on the rise? One must also be able to think globally, and realize that because everything is connected it’s not a linear world. The media, talking heads and politicians tell us that employment, the stock market and dollar are up because of Trump’s policies, and if interest rates rise the economy will decline, or if the dollar declines gold will rise. All of these “if this/then that” statements are meant to manipulate us, as they are certainly not true over time. What if stocks and the dollar are up because of the chaos in the EU, Japan, the Middle East and South China Sea, causing global capital to seek the relative safety of dollar-based assets? The establishment doesn’t debate these topics because they are either ignorant or want to keep the facts from you. The establishment thinks we are sheep that can be lead to slaughter. How else can one explain the acceptance of statements like Pelosi’s, “you have to pass the bill to find out what’s in it”; or the current statement from Paul Ryan about the new “American Health Care Act” being “a once-in-a-lifetime opportunity”. We did find out what was in Obamacare, and it was worse than the securitized sub-prime mortgages that were rated AAA by our captured ratings agencies, sold under the nose of captured regulators, and resulted in the 2008 financial crisis, for which NOT ONE bankster was even prosecuted. Ryan’s Health Care Act is anything but American, and the only thing that is “a once-in-a-lifetime opportunity” is the drastic reforms that are needed in govt, which includes giving career politicians like Ryan the boot. Armstrong taught us to follow the money, specifically global capital flows, as it is the key to understanding the future. What will surprise the majority is that the strong dollar is the greatest threat to America. 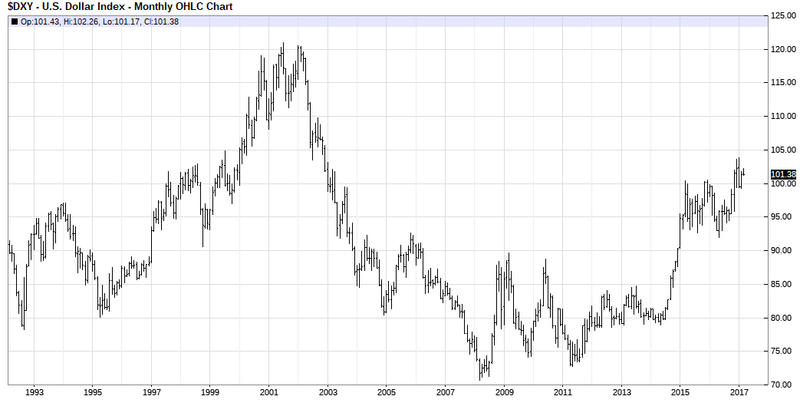 This will be explained later, but first let’s look at a chart of the US Dollar to get our bearings. The dollar peaked from capital concentrating in the US with the tech bubble at the beginning of the decade. To stimulate our way out of the 2001 recession when the tech bubble popped, the Fed printed money, the govt-Wall Street cabal created the mortgage securitization scheme, and with the promise that the newly formed euro would provide an alternative to the dollar, the US dollar declined into the 2008 high in real estate. The flight to quality in response to the 2008 financial crisis caused the spike demand for dollars. The QE money printing process and deleveraging kept the dollar in check, but the Greek debt crisis focused attention on Europe’s debt problems, which started the exodus out of euros into dollars. Since the EU does not have an EU bond, like the US treasury, each country buys each other’s debt, which has set up the coming debt contagion, that Armstrong calls the sovereign debt crisis, or Big Bang. As the anti-establishment movements began to take hold in Europe, and the global economy slowed and military conflicts heated up, the demand for the world’s reserve currency has continued to gain strength. The dollar and stocks will likely pull back for a couple of months as the media focuses on the debt ceiling debate, to start this week. Since our debt situation is horrendous, it will not be hard to paint an ugly picture, and of course pin the problems on Trump. The reality is the debt can NEVER be paid off, and must be re-structured to get out from under the coming interest expense explosion as rates rise. However, since the current debt problems will boil over in Europe first, expect the flows out of the euro into the dollar to pick up steam with the French elections in early May and explode with the German elections in late September. Despite bearish stock market calls for various reasons, ranging from stretched fundamentals to a low VIX, stocks will be the biggest beneficiary of these capital flows, and the DOW will be king, as it is the favorite vehicle of foreign investors. Remember, the majority of would-be investors have been out of this market due to the devastating losses in 2007-2009, which is still fresh in their mind. Don’t worry, the bag holders will start buying the trend when the water is fine and the sharks are waiting. This will be the signal to start selling, but it won’t be for a couple of years. Also remember that we are transitioning from public (trust) to private (no trust), which means blue chip stocks with real asset will be safer than govt bonds backed by nothing. Until there is an alternative to the dollar, which will happen when the soaring dollar blows up dollar-based debts, dollar-based assets will continue to attract distressed capital. The mistake that many make, including the gold bugs, is they think the Fed’s money printing will cause run away inflation and tank the dollar. QE did not tank the dollar, and the Fed will not be able to stop the explosion higher in the dollar because global investment flows overwhelm the Fed. As I will show later, the Fed can also not force the banks to lend the money provided by the Fed. Simon Black tells a good story explaining how we got to a point today where Google has more cash on hand than the US govt. 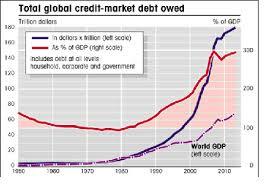 Debt has grown almost twice as fast as GDP, because govt wastes money, creates nothing, and misallocates what they spend. What’s worse is most of the other countries around the world are even more corrupt, especially in Europe and Japan. As the chart below highlights, entities around the world have accumulated dollar-based debts at a remarkable pace since 2000. The problem, beyond the obvious, is that as the dollar rises so does the dollar-based debt burden for the countries, companies, and individuals whose currency falls against the dollar. This explosion in dollar-based debts outside the US occurred because the debt peddlers sold the idea that the dollar would decline, devaluing the debt, allowing it to be paid off with the appreciating currency of foreign countries. The gold peddlers sold the same story, sharing the pipe of QE and hoping buyers would be high enough to believe hyperinflation was just around the corner. Unfortunately, reality got in the way of their financial mirage, just like it did when they told us the Internet and real estate would never decline. This is where thinking globally keeps you away from these charlatans. When the dollar is the world’s reserve currency, and the rest of the world is sucking wind, they will consume all the dollar-based debts they can get, and then some. Hyperinflation occurs when no one will buy your debt (printed money) and the money floods the market. 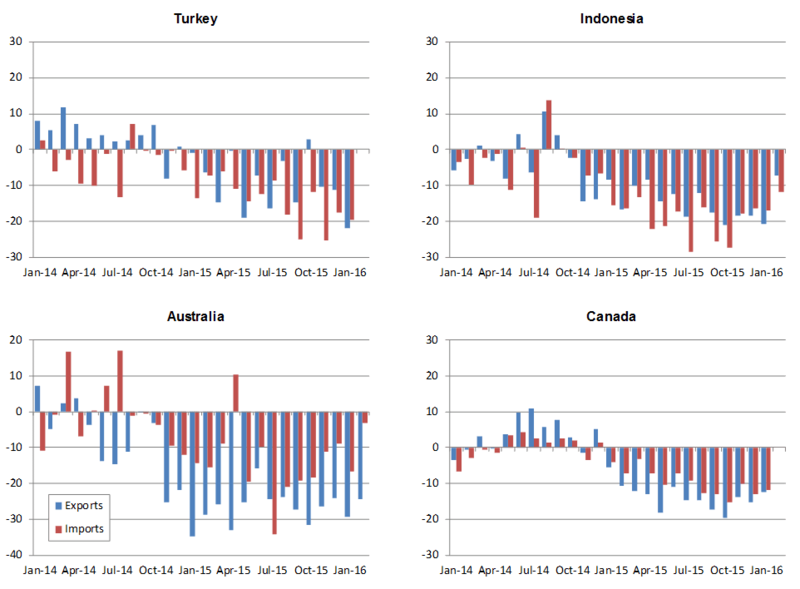 Not only did the debt created through QE have foreign buyers, most of it was not even lent into the market. 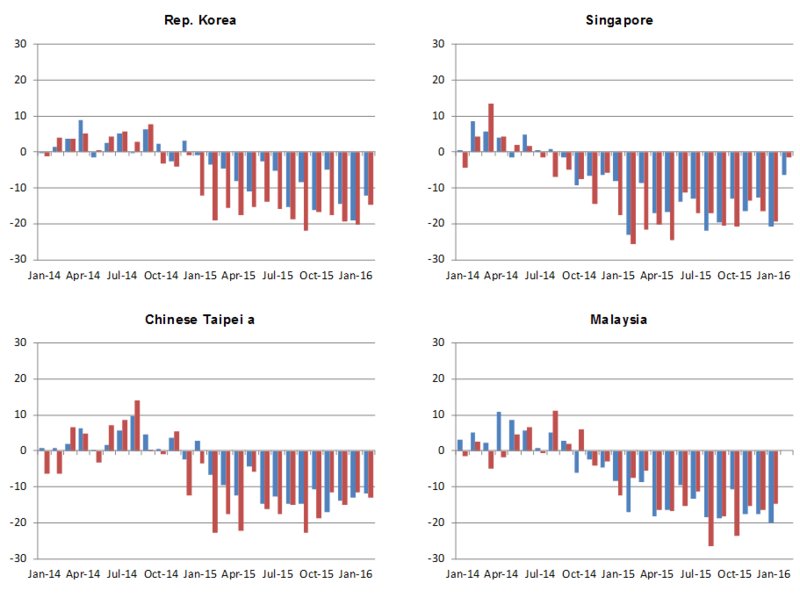 The truth is the balance sheets of entities holding too much dollar-based debts will be blown sky-high as the dollar increases, including many countries. This will cause widespread defaults that will likely force a G20 meeting to reset the world’s reserve currency, which will likely result in a new reserve that is based on a weighted average of the largest currencies, like the IMF’s SDR. A similar action took place in 1985, when the G5 Plaza Accord promoted the idea of the euro to provide an alternative to the dollar, which had emerged as the only major currency after WWII. The Accord also intervened (manipulated) currency markets to devalue the dollar, which ignited a 15-year run in stocks. Today, Trump will try to talk down the dollar to help exports, but both the EU and Japan are in a much bigger debt hole than the US, so where else does he expect capital to flee, especially when the Fed keeps raising rates to stop from being labeled a serial bubble blower? This is a very important factor in understanding the future, which will be discussed later, but for now please realize that the flight to the safe-haven of the dollar is not reflective of a healthy global economy. 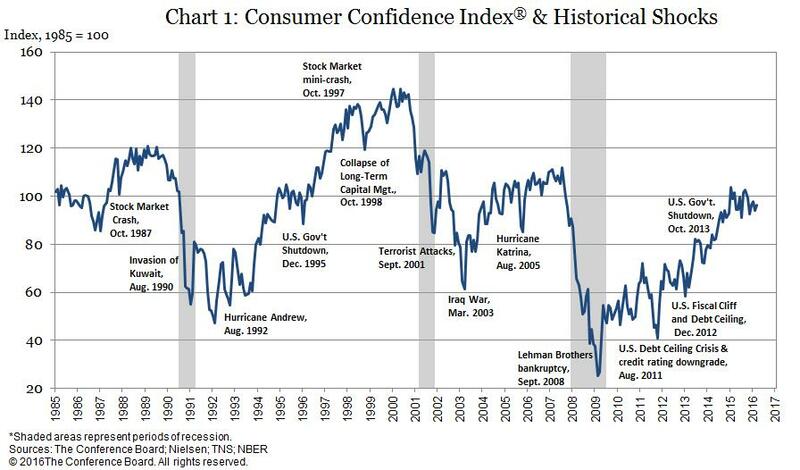 Consumer confidence in the US has been rising since the financial crisis low in stocks in March 2009. Trump supporters think the latest rise to 114.8, which surpasses the 2007 high, is related to renewed optimism over Trump’s policies on lower taxes, infrastructure spending, and eliminating the burden of Obumacare and regulations. It should be noted that consumer confidence is mostly correlated with the stock market, but the current unprecedented run in stocks is largely due to capital flows out of euro-based assets into the dollar. It’s not the result of retail participation, which is still way off the highs of 2007. This fact also means that the stock market is still not in bubble territory. The average Joe still needs to get sucked into the market, which will begin to occur when the Dow gets through 23,000. With confidence in Congress at historic lows, and freedoms and privacy under daily attack, how robust can the economy get? Remember, the foundation for a healthy economy is confidence, trust, and freedom. It is also not indicative of a strong economy if banks don’t want to lend. As indicated in the chart below of Excess Reserves at the Fed, most of the money created by the Fed through multiple rounds of QE (buying bonds and other dubious assets from the big banks), has been redeposited back at the Fed for safe keeping in the form of Excess Reserves. Not only were the banks not forced to put the free money from the Fed to work, they have been paid interest to park it at the Fed. 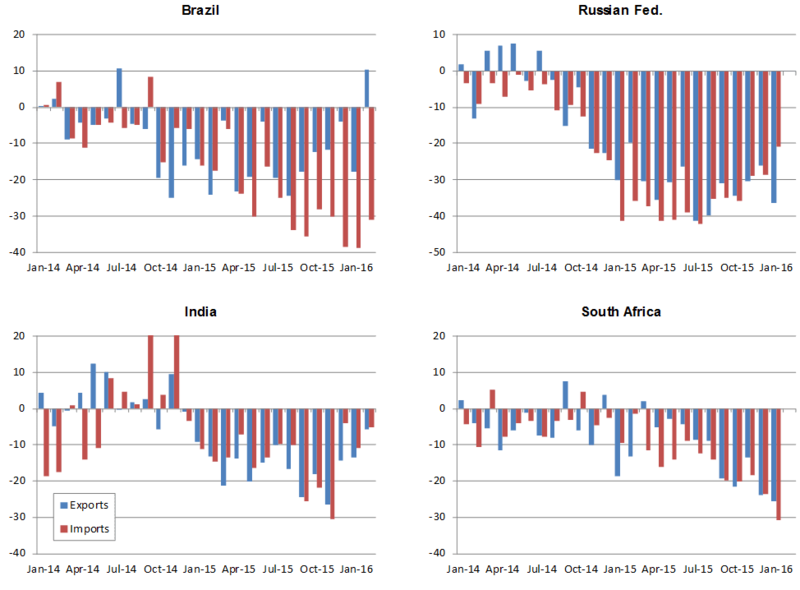 Global trade also continues to contract. After rising steadily since the 70’s, global trade collapsed after the 2008 financial collapse, and it still continues to struggle, largely because broke govt’s are on the hunt for money. The Foreign Account Tax Compliance Act (FATCA) legislation enacted in 2010 requires foreign banks to report bank account information of US citizens to the IRS. FATCA not only destroyed Swiss banking, but because the reporting is so onerous foreign banks don’t even want to deal with US citizens, which is naturally making it more difficult for US businesses to expand overseas. Beginning in 2017, establishment govt’s around the world began sharing banking information on their citizens. When combined with the little known Patriot Act provision that gives the FBI access to foreign companies listed on the NY Stock Exchange, which is causing many of the largest international companies to delist, and you have the perfect paranoid concoction to bring down the global economy. 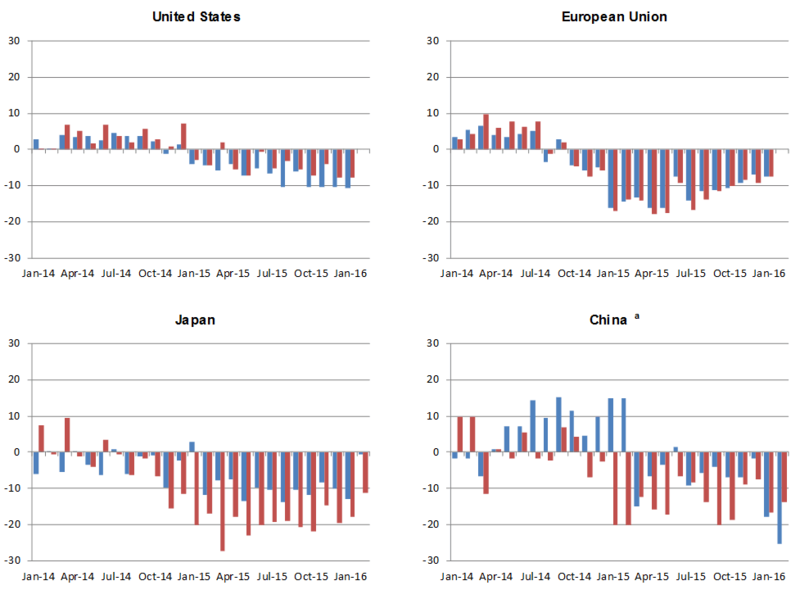 If you want to understand why I say the global economy is on life support, look at the charts below of the imports and exports for major economies, and tell me how many have had positive growth the last two years. What if things don’t pan out the way people think regarding Trump’s agenda, especially if the establishment continues erecting ever bigger roadblocks? The reality is the anti-establishment movement growing around the world, due to Socialism failing its citizens, is just getting started in the US, and Trump simply caught the wave. We will need to retire many more career politicians in order to enact the drastic reforms needed to turn this country around and garner the respect of our Founders. We must also ignore the brain-dead sheeple being led around by anti-Trump protestors paid by George Soros, who fears Trump will ruin his fantasy of ruling the world. Take the Christian route and forgive them, for they know not what they do. FATCA has privacy and freedom under attack abroad, and as we learned the last week from WikiLeaks, the CIA has been snooping on everyone through every digital electronic device you own that is connected to the Internet. This disclosed hacking of our lives by the CIA, which is also pervasive at the NSA, is starting to make the general public aware of the police state tactics that we have been reporting on for years. WikiLeaks has stated that only a small fraction of the data has been released so far, and as the rest comes out, it will be impossible for the majority to ignore the Constitutional abuses by govt. It will also be impossible for the establishment and mainstream media to continue with the lie that the snooping is only happening abroad and the domestic spying is only conducted by rogue hackers. Sorry folks, but it is your precious govt that is spying and hacking your life, and it’s not for tracking terrorists. The objective is finding money for a broke govt, and digging up dirt for leverage, blackmail, and political war. What the average Joe does not appreciate yet is it’s not about whether or not you have something to hide. The problem with govt snooping is it sends the capital needed for growth underground and off the grid, and it destroys trust and confidence. Prior to the WikiLeaks dump, the mainstream media was trying to convince us that the bugging of Trump Tower was either done by the Russians, or it was justified to spy on foreign govts. I hope the public finds out the truth, but one person that knows the truth is Michael Flynn, who found out the hard way what his former organization is all about – political war. The establishment, which includes FOX News, tried to trash Trump over his allegations that the Obama administration wire tapped Trump Tower. These desperate attacks have been relentless from the establishment media ever since Trump began threatening to drain the swamp and end their corrupt gig. Up until recently, FOX has primarily stuck to defending the military industrial complex, but now they are starting to follow the marching order of the deep state globalist. Trump must be making progress in identifying the swamp dwellers. If you want to understand what side your news source is on, pay close attention to their guest and so-called experts. FOX uses shows like Tucker Carlson, Sean Hannity, and Judge Jeanine to convince us they are on our side, yet Fox constantly parades establishment hacks across their screen to bash or seed doubt about everything Trump does or says, without ever challenging their line of BS. All you see across the mainstream media are known hacks like Rubio, McCain, Graham, Bolton, and Schumer. The icing on the cake was on full display last Sunday, when the Sunday shows put documented liar and former Director of National Intelligence, James Clapper, on the air to tell us Trump was lying. When you see this level of desperation, you know who the establishment is, and they are running out of hacks that can be intimidated. Whether we like it or not, the time for moaning, groaning, and burying one’s head in the sand is over. If you have been monitoring the chaos in the EU, then you realize the craziness we are witnessing is not in a vacuum. If you want to understand why the EU and euro are on the verge of implosion, watch Le Pen’s trouncing of Merkel and Hollande in front of the European Parliament, and read how the EU is trying to destroy her chance of winning the French election by throwing her in jail. Socialism, which is being bitterly defended by establishment govt’s, is predictably failing its people, and as a result is on the verge of collapse. At home, establishment Democrats and Republicans are digging in their heels to save their perks and power. They want us to take sides, and believe the parties are fighting each other, when the reality is they are both fighting against us. If you want to survive the chaos that’s coming with the economic reset, please remember that you are an American first, not a Democrat or Republican. Trump supporters have already proven they will not be swayed by the establishment propaganda, but people on the sidelines better wake up because they don’t realize their country is being torn apart, which is consistent with the cyclical trend that calls for the financial capital of the world to move from NYC to Asia, as a result of corruption rising and the rule of law eroding. We have exceeded the time that London held the crown as the financial capital. So, it’s just time. What’s encouraging is the establishment has not learned anything from their failed attacks on Trump during the presidential campaign, and the more they show their hand, the more they expose themselves to even the unaware. Trump’s speech to Congress last week was generally good, although unrealistic if healthcare costs and the debt are not addressed. The unaffordable military build-up that Trump is proposing has more to do with China’s increased military spending than it does Russia. Other countries, like Japan, Vietnam, and the Philippines are also increasing their military spending because China is flexing its muscles to establish control over the important trade route in the South China Sea. This level of military build-up has not been seen since the cold war, and as our Founder’s warned, standing armies tend to be put to use to justify their existence. As the economy turns down, especially in Europe, the govt excuse for war to hide incompetence will be sold. Sweden just reinstated the draft, which includes women. As previously discussed, the problem with healthcare is the runaway costs, not how the costs are sliced and diced and repackaged by insurance companies. Trump’s people talk about increasing competition, but they don’t say how, other than being able to buy insurance across state lines, which won’t occur in “Phase 1”. Sorry, this won’t cut it! If there was only a handful of home builders in the country, it wouldn’t matter if you could shop for mortgages across state lines if the builders bought off politicians to make it impossible for no new builders to enter the market, and they had an army of lawyers to support the price scheme. How does Trump think competition is going to be increased when entry into the market is next to impossible? Ryan and the establishment Republicans and Democrats have no interest in ending the rigged game for their donors in the healthcare industry. Only a die-hard Utopian Collectivist like Bernie could believe the current rate of spending on healthcare is sustainable, but this is what they want us to believe. ​Donations by the healthcare lobby are much greater than the military industrial complex, Wall Street, or any other captured industry. You will never see the necessary tort reform because most of CONgress is composed of lawyers. Why do you seldom hear about the corruption in this industry? We know the answer – money, in the form of big campaign donations (bribes), ad buys that pump mountains of money into the major networks, and blackmail. If Trump wants increased competition to drive down costs, he must enforce EXISTING anti-trust laws and throw some bigwigs in jail. Trump must also push for term limits to reduce the ROI for lobbyist and remove the rationale for politicians to sell their souls for a career of perks, power, and ill-gained wealth. Congressional job descriptions should also state “LAWYERS NOT WANTED”. Obama and former Speaker Boehner took the fraud and neglect to new levels, as we will see after March 15th when Congress is forced to address the debt ceiling that Obama and Boehner postponed until they were out of office. Under Obama, the debt doubled to $20 trillion. Govt has been neglecting their responsibility to balance the budget for decades, largely because interest rates have been trending down for 35 years, which means govt could borrow increasing amounts of money without increasing interest expense to finance political promises. 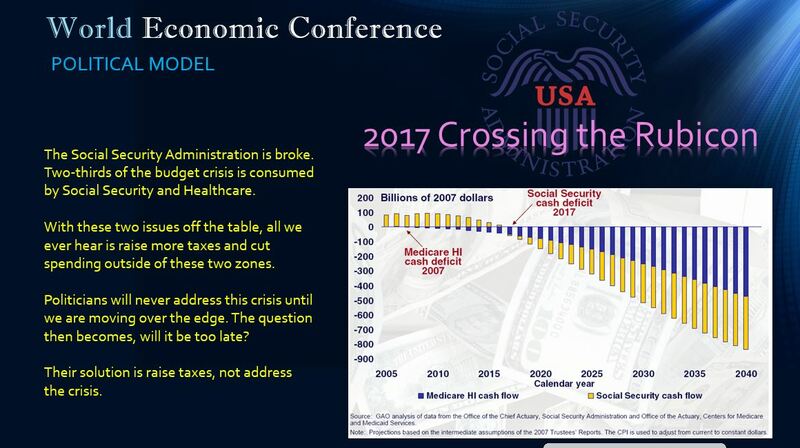 With Social Security and Medicare going into a cash deficit THIS YEAR, the pressure is about to blow, and guess who will get burned? It’s just a guess, but I don’t think politicians will see their healthcare curtailed or their pensions cut. Predictably, Trump is going to be held responsible for paying the piper as interest rates rise, due to debt being rolled over at increasing higher rates. The establishment, which created the debt, will certainly try to blame Trump for the soaring interest expense, which will blow a hole in the debt ceiling no matter what faux solution CONgress tries to sell. Unfortunately, Trump has not said anything about rescinding the FATCA laws, which has been slowing global growth, and the border tax will slow it further, reducing tax receipts and making the deficit worse. Scaring the capital needed for growth off the grid for any reason is not good for growth. Rates have already risen dramatically in the last few months. For example, 30-yr mortgage rates are up 20% since the election. As the euro, EU, and banking system in Europe implodes this year, the interconnected fear will send rates and the dollar higher. Combined with the pension collapse, caused by eight years of rates being artificially suppressed near zero and insufficient contributions, the people who claimed they have been lulled to sleep are going to be rudely awakened in the next couple of years. Trump is right that significant tax cuts are needed, but growth alone cannot save us from the unavoidable debt/economic reset that will occur over the next few years. Even if federal taxes are cut, too many states are going broke and they will take from the other pocket. For example, states that had no state income tax, like Alaska and Wyoming, are now considering them. Other states could increase their income, gas, usage, and sales taxes. More extreme examples that will serve as examples for other broke states include: Alabama, which is looking to tax Internet usage; and Utah, that wants to increase the tax on food. We’ve already seen what’s happened to IL and CT as they jacked their taxes. People/tax payers are leaving in droves after reaching their limit. Oil producing states have taken a hit with the decline in oil prices, but the elephant in the room is Obumacare, which is scheduled to push more of the burden on to states in the coming years. Combined with the fact that more insurance companies are pulling out of states, you can bet that it will be private citizens that get caught in the vice, which will lead to more civil unrest. Regarding the tax policy, the establishment’s propagandist are telling us we can’t afford tax cuts. This is beyond oxymoronic. If Congress thinks a $20 trillion debt is too high to justify tax cuts, why isn’t a balanced budget Amendment passed tomorrow? These hypocritical clowns are the same people who endorse taxes on cigarettes and pop, arguing the increased cost will reduce the incentive to purchase. So, why don’t they understand that increased income tax reduces the incentive to earn more? While it is important to understand for city and state tax implications, I’m not going to discuss the fraud disclosed in your local CAFR (Comprehensive Annual Financial Report), which documents your local govt’s balance sheet. If you are unaware, govt’s hide performing assets like stocks, bonds, real estate, and the returns they generate in their CAFR’s, away from the budget, to justify higher taxes. Combined, govt is the largest stock holder on the planet. These assets were purchased with OUR money. STEP 2, in our 5-STEP plan, discusses CAFR’s in more detail and provides a resource link. As the chart above highlights, the total debt is actually much higher than $20 trillion, when unfunded liabilities (promises/lies) are included, and thus are IMPOSSIBLE to ever pay back. Throughout history, govt’s have always borrowed without any intention of paying it back. Instead, they extract their pound of flesh from the masses, including asset confiscation, to pay back their banksters, which ultimately kills the economy and causes govt to print money, creating horrific inflation problems – Venezuela, Brazil, and Argentina are current examples. You should also realize that the establishment, and their bankster donors, conveniently ignore that their “solution” of society-killing austerity has already been tried in Europe, and has been a complete failure. This fact is one of the reasons why all the anti-establishment candidates will likely win in the coming elections in France, Netherlands, and Germany; and why Greece, Italy, and Portugal are begging the IMF and ECB for more bailouts. I guess our govt thinks we don’t pay attention to Europe, as the establishment wants us to believe it can work here, if we just try harder. Sorry, this is the definition of insanity, and Brexit and Trump voters called the establishment on their insane globalist Utopia. Please note that the nationalist movements in Europe and the US are not against global trade. They are against global governance, which represents the pinnacle of govt neglect, fraud, and abuse. New news just came out that demonstrates the insanity of the EU. Even though the flood of immigrants has been one of the biggest factors driving the anti-establishment movements, the EU Commissioner wants 6 million more immigrants. The solution is NOT to extract interest on imprudent loans, but let markets force prudent lending. When banks lose money from making bad loans they learn not to make bad loans. When banks get bailed out and govt acts as the henchmen to collect for the banksters, it encourages more imprudent loans. At this point, the best solution for the economy and society is to restructure the debt – impose haircuts (losses) on bond holders who were stupid enough to loan bankrupt govts money, and swap the debt for equity so market forces can weed out what is not worth funding. Why does the establishment now hold the $20 trillion debt over the head of society, a debt that they created? 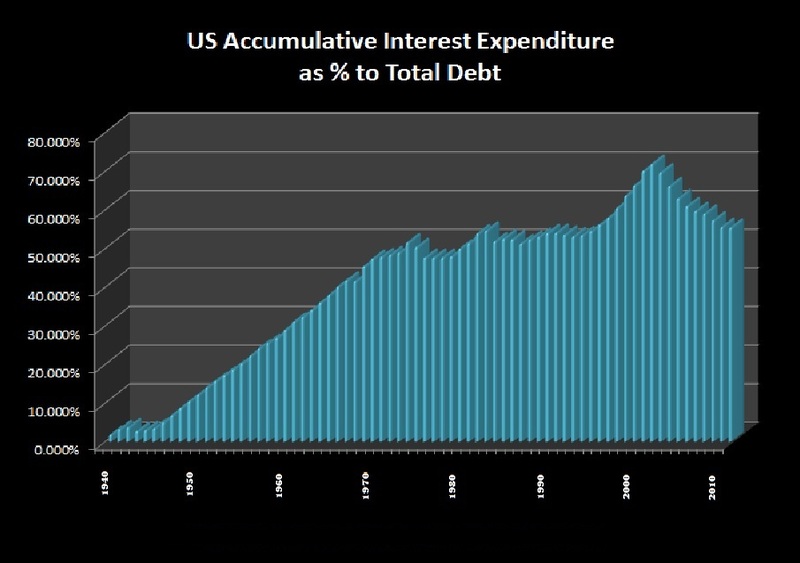 As mentioned, the reason the debt is a budget concern is that interest is an expense, which has been artificially suppressed by low interest rates to keep the budget from blowing sky-high. If rates reverted to the mean, the interest expense would be greater than spending on defense and healthcare. Since everything is connected, there are obvious consequences for govt meddling. In this case, keeping rates near zero for so long (over 8 yrs) has imposed harsh consequences on retirees, pensions and insurance funds that depend on fixed income. The govt is willing to sacrifice the elderly that saved all their life, and are too frail to protest, and in many cases too brainwashed after decades of listening to mainstream media propaganda. The bigger challenge for career politicians will come from their own ranks when govt pensioners realize the promises of their bosses were really lies. While many pension promises where mathematical lies anyway, even the solvent funds that required employee contributions have suffered from rates being so low for too long. These pension funds model 7-8% returns to meet outflows, and require around half of their funds be invested in treasury bonds. With average yields being under 2%, they are severely underfunded. BTW, they have plans for the rest of us too – like eliminating cash so negative interest rates can be imposed and maximum taxes extracted, and the forced replacement of stocks with govt bonds, that they know will be worthless. Instead of society’s neck being put in the debt guillotine, it must be the neck of those who created, financed, and bought the debt. The concern over cutting taxes can be eliminated by eliminating the interest expense and balancing the budget. The fact of the matter is, if politicians were not so concerned with banksters funding their careers, govt spending should never incur interest. The money could literally be printed without interest. When one considers that more than half of our total debt is accumulated interest, actual printing would be a no-brainer, if people actually understood the collusion between Congress and the money center banksters that sell Congress’ debt. Of course, the banksters and bond holders, who depend on the govt to enforce their rigged gambit, will fight tooth and nail to prevent restructuring of the debt. However, they, along with the rest of the establishment hacks, also tried to stop Trump and Brexit, and they need to be shown the door in front of them, or below them. Trump is not the problem. The problem is the lack of confidence and trust in career politicians, and the freedoms they need to crush to maintain their life of perks and privilege. The reasons I supported Trump is because he supports term-limits, extracting ourselves from foreign entanglements, and he knows how to restructure debt, and without restructuring the debt this country will remain a debt slave and will NEVER recover. Don’t get me wrong, Trump needs to demonstrate he has not been captured by the industrial complexes of the military and healthcare. However, if the debt is not restructured and term limits imposed, nothing else will matter. We also need a champion of the Constitution to make sure it survives the economic reset. Trump will need our relentless support from all of us, because Collectivist, like Obama and Clinton, want another layer of global governance, and they have been entrenching themselves in govt’s around the world for decades. When combined with globalist whack jobs, like Soros, who is funding the majority of the anti-Trump action groups, our work is certainly cut out for us. These people are relentless and insane – a deadly combination. Until career politicians are rooted out of office by voting them out every election, we must be prepared for economic chaos to make sure freedom and the rule of law prevails. People unrealistically hope that the anti-establishment movements will cause the bureaucrats in Brussels, DC, and Tokyo to suddenly wake up, look in the mirror and admit their mistakes, and reform their govt’s for the benefit of their citizens. This is about as likely as Bernie’s Utopian followers suddenly getting behind Trump. These career politicians simply have too much to lose by reforming. If the EU/euro project was dissolved, the EU rulers in Brussels would be out of a job, which would risk their cushy pensions they voted for themselves. While it would be good for all countries except Germany, because their devalued currency would improve exports and tourism, the unelected EU bureaucrats only care about maintaining their perk-filled lifestyle. The same is true with those in DC, which is why they will assassinate Trump before they ever vote for term-limits. At least half the country hated Obama’s socialist policies and support for the establishment, but did we see paid protestors in the streets? It’s always the far left that goes off the deep end when they feel their life support (govt) plug may be pulled. The choice is simple, we either vote out EVERY incumbent, EVERY election; or prepare the best we can to survive the crash and burn financial reset, so we can make sure a new Democracy emerges and buries Marxist ideology for good. Keep your ear to the ground! It can only happen if we end the Federal Reserve now. This is necessary so that, in the next financial crisis, the government goes broke without all the debt monetizing life support from the Fed Res. ly then, with the government broke, and all that govt spending grinds to a halt and that will allow prices of everything from college tuition, health-care to everything else to collapses–to levels that people can actually afford. It would be a massive depression, but the necessary medicine and might be relatively short-lived ESPECIALLY if prices for everything really crash hard. Maybe at the bottom of that depression, re-establishing sound money with currencies backed by gold/silver across the world can happen. Agree that the dollar will be too high going forward with all the $ denominated debt abroad — especially EM corporate debt. In fact, the explosion of that debt might be the 2nd “leg” of the 2008 crisis (1st stage was the sub-prime debt explosion which was a small amount compared to the amount of EM corporate debt at risk). Everything is in a slow-motion collapse. We’re definitely in a Fourth Turning crisis period, which started in 2009, and now has about 10 more years until the climax. Fortunately Trump will be at the helm in our deepest hour not unlike Churchill or FDR –if he stays alive. Trump is the “Grey Champion” of our 4th Turning crisis. The final outcome is either: 1) the end of man itself, 2) the end of our country, or 3) a new a new beginning–a regeneration of this country. The EU is definitely collapsing. The Chinese central planners will fail too just like every other central-planning Socialist/Communist “experiment”. 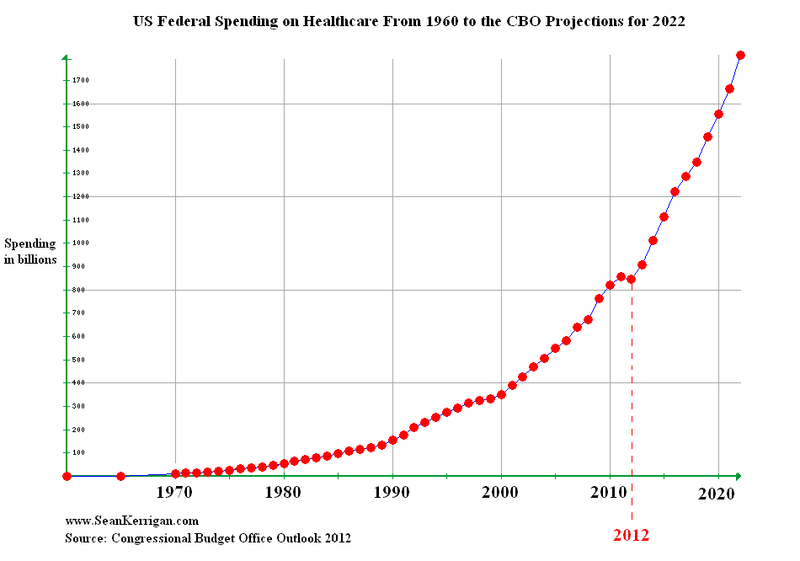 The US government sector is collapsing into a state of massive incompetence/waste. Our financial system, as you’ve discussed, is headed for collapse. We’re reaching the end of the road from the standpoint of the global economy reaching limits of growth especially the high cost of affordable energy (http://gulfcoastcommentary.blogspot.com/2016/09/were-reaching-end-of-road.html) The Democratic Party is collapsing. The Left and the Deep State is also trying to ruin Trump and start a civil war (I just hope there are massive purges soon by Trump Admin). The Republicans are in trouble too– at war with itself and it’s “establishment”. Civil decay is proliferating, inner cities have already collapsed, the Muslim/Arab culture in the Middle East/North Africa has collapsed, ignorance is legion across our population especially the young as US education is collapsing too. “Hip hop culture” is like an infection of decay affecting our culture and new generation. The better informed older generation are becoming senile. Nobody seems to remember what this country stands for. Anyway, I think all cycles point down at this point.